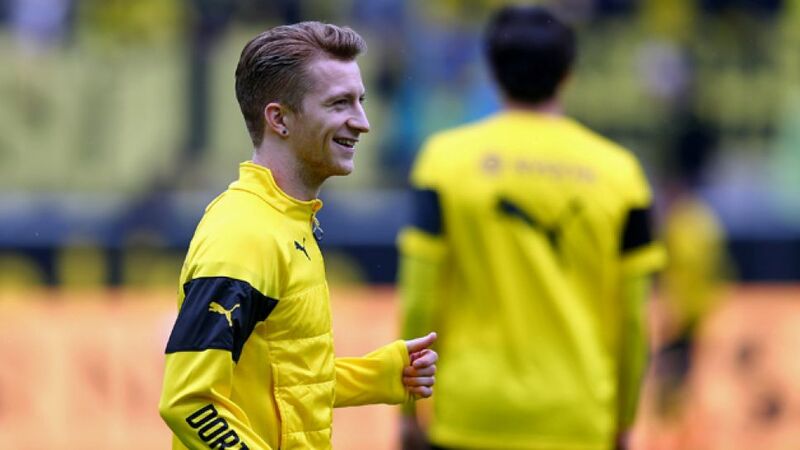 There was good news for Borussia Dortmund on Wednesday, with Marco Reus and Erik Durm both returning to the training pitch. Superstar Reus has been out for just under a week after picking up an injury to the adductor muscles in his leg during his side's 4-0 win over FK Qäbälä in the UEFA Europa League last Thursday, but was seen going through light running exercises. The attacking midfielder missed BVB's 3-2 win over local rivals FC Schalke 04 in the Revierderby on Sunday, although after not linking up with the Germany squad this week, he is expected to be available when Thomas Tuchel's men travel to take on Hamburger SV in Matchday 13's opener on Friday 20 November. For his part, FIFA World Cup winner Durm was able to take part in the first-team training session. The 23-year-old full-back has been out for the last four months, and was forced to undergo surgery after picking up a knee problem in pre-season. It is unclear, however, when he will be back in the first-team reckoning.